This pouch serves as a handy organizer which I could carry (when needed) without a hassle. It looks durable and it could protect the brushes from dirt and damage. And, it's pink! :) If you want a set for yourself, they're available in Tmart's Health and Beauty Products' Page at an affordable price. I think they're around 14USD. The best thing? They ship it for free worldwide! 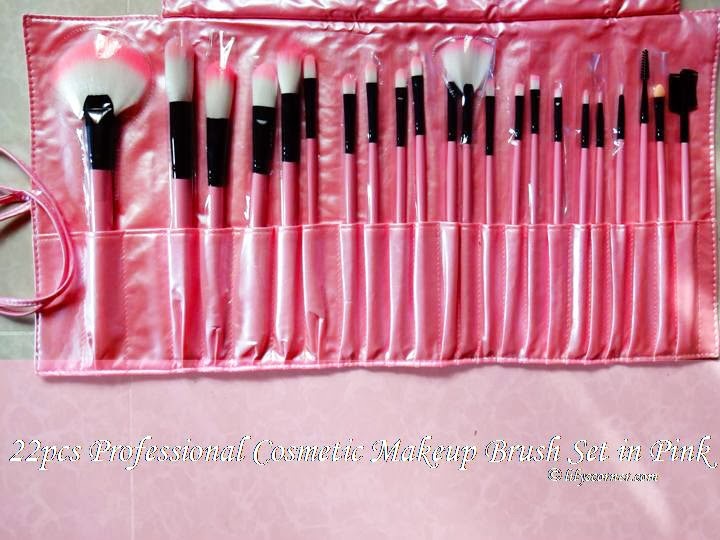 I already have favorites among these 22pcs Professional Cosmetic Makeup Brush Set. I tried using the powder brushes earlier and their bristles felt so soft on the skin. I think I will no longer use sponge in applying powder from now on. So far, they didn't irritate my skin. Even my mom likes them! Thanks Raul for the list!